PHR Staffing Solutions is a big supporter of “paying it forward” within one’s own community. Since we deal with both applicants and employers here in the Polk County area, we are very invested in the community in and around the Lakeland region. We know there are a multitude of organizations and charities that are continually seeking out new volunteers, donated items to stock their shelves for those in need, and more. There are so many ways to give back here in our own town. If you are currently unemployed, chances are you are thinking: “I can barely help myself! How am I supposed to help someone else in need?” Our answer would be, perhaps you can use this season of job hunting to bless others with the gift of your time and energy, even if your monetary resources are limited. Consider taking time to volunteer at a local shelter, halfway house, after-school program, or even at a local school if permitted. There is no shortage of charities and non-profits here in our town that could use your time and energy this holiday season, and all year long. From sorting and organizing donated items, to serving up hot plates of food on cold nights to those who have no home to which they can go, this time of year is a great way to pay forward what you have been given while you wait for the blessing of new employment. If you are currently on the hunt for a job, we know it’s stressful. 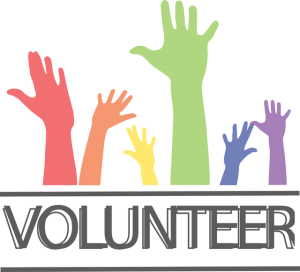 While volunteering is important, like we mentioned above, you also have to keep tracking down new leads for positions that are hiring. PHR Staffing Solutions is here to help you. We are continually posting new jobs here on our site, and since we provide applicants for businesses of all kinds throughout Polk County, there’s a high chance we can find something for you. Apply for one of our current openings online, or call for more information or to schedule dropping of your resume for us to keep on file. In the meantime, help us pay it forward in Polk County this year! Happy Holidays! ← To Give or Not to Give: Should You Buy Your Boss a Christmas Present?